Our Little Acre: Ball Celebrates International Can-It-Forward Day + A Giveaway! Now this is a great event and what a giveaway. Hard to choose as I love the vintage jars, but my favorite is all the herb stuff. 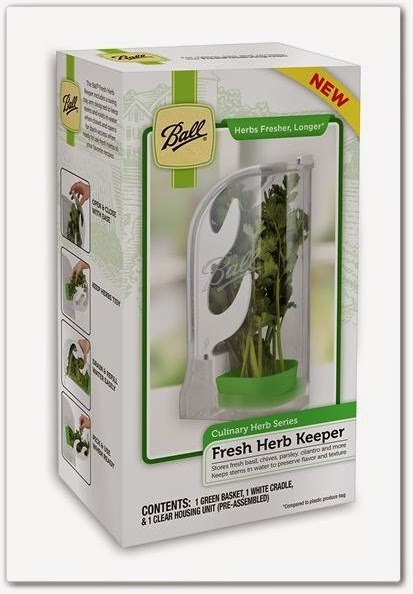 The dry herb jars and scissors are great but I am fascinated by the fresh herb keeper. I never knew they had all these things. Now I will be checking them out. 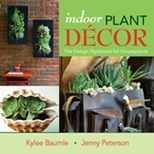 This is a fun giveaway.And I found the perfect thing for storing herbs. The herb garden is in high gear. Those scissors look very interesting. I wonder if they work? Have you ever tried such a thing? I use my regular scissors a lot in the kitchen. This looks wonderful! Wish I could be there. And a great giveaway too! 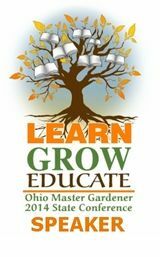 I use a lot of herbs from my garden so I really want to win all the herb stuff. Awesome Giveaway! LOVE the green :) My favorite thing to can is green beans - I can NEVER can enough green beans to last until next year's harvesT lol... I also love making Sandhill Plum Jelly from the wild plums picked locally. I used to help my Mom can tomatoes and green beans when I was a kid. Now that I have a child of my own, I'd like to can applesauce! You know, it's a toss-up whether I like canning garden berries into jam more or yellow wax beans with freshly picked peppers, dill & garlic into hot pickled beans. Love them both, but I'll tell ya' I sure do think those yellow beans would be gorgeous in those green jars. Thanks for turning us onto these new products. Can't wait to give'm a try. Those green jars are going to look awesome in my new kitchen! I like to can pickles and tomatoes. I have never canned before, but I would love to try it! I love canning jam - all sorts of flavors, but my family really enjoys carrot cake jam. I am a novice canner and would love to preserve some of the bounty from my garden! Thanks for the chance to win! I've never canned but really want to!! Thanks for the chance! Hope, hoping! :) This giveaway has me really excited! I loved canned pickles of all sorts. I don't can, but my dad does. One year he tried canning tomato sauce and it was super salty and liquidy and we added vodka and were good to go! 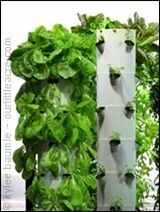 Well I am moving in a few months and would love to start growing tomatoes not only for cooking but also canning. This prize package would surely help me get started in the right direction. I love to can fresh peaches, however, they are difficult to find where I live. I used to get Shippers Red when I lived at home in West Virginia and they were the best. I want to try canning tomatoes. I love canning tomatoes! There is nothing better than opening up a jar of my tomatoes in the wintertime to make soups, chili, and stews. Two years ago I walked past a farmer's market while on a morning stroll with my husband and two small children. There was a large box of less than pretty tomatoes sitting on the ground by a truck and they caught my eye. I pleaded with my husband to let me buy them so I could learn to can, he thought I was crazy. I won and we carried the 40 pounds of tomatoes the 1/4 mile (up the steep hill) home, while pushing a double stroller no less! Tomatoes have remained a practical favorite to can, though now we grow our own. Great giveaway! I love to can tomatoes and all types of tomato products. Cucumbers, I love the canned pickles my grandfather made. I still have his recipe and it turns out great every time! I haven't gotten any further than canning tomatoes, but I enjoy canning those! I've canned strawberry jam and apples but neither were from our garden, unfortunately. I'm hoping for more tomatoes next year so I can put up tomato sauce. Sounds like it was a great event. Thanks for sharing about it. My favorite thing to can from the garden is tomatoes. I like canning stewed tomatoes and salsa. I always seem to have extra juice left over from the salsa, so I can that as tomato juice. I just started canning and have canned salsa but want to start getting into jams with all the great summer fruits! i would love to can our garden tomatoes! i love canning my garden tomatoes. i can pasta sauce, salsa, chili sauce, tomato sauce and whole tomatoes. They have so much more favor than grocery store tomatoes. Thanks for the chance, this is an awesome giveaway!! I love to can pickled jalapenos. And salsa. And tomato sauce. Hard to pick a favorite I guess! Love making small batces of jams, jellies, and marmalade - especially Meyer Lemon Ginger Marmalade. I don't can, but I love ball jars. I use them all the time! We love canning tomatoes! However, we also can a ton of cucumbers! 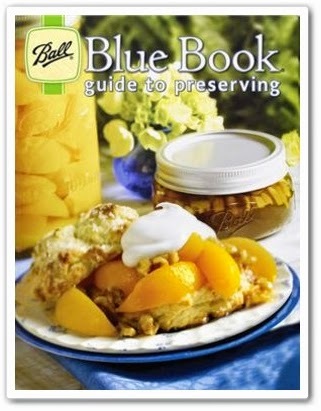 I enjoy canning tomatoes, but would love to learn more about canning. I would like to learn how to make and can jams and applesauce also. Thank you for the opportunity to enter this giveaway. I love canning tomatoes. They look so pretty in the jars. My sister and I get together, for what we call a canning tomatoes party. We also enjoy making cinnamon and mint jelly, and putting it in cute small jars. Thank you for offering the giveaway. I really enjoy making both salsa and pickles. I enjoy canning applesauce and peaches. I'd like to do more canning but I need to build up my canning supplies! I always make homemade tomato sauce and can it, but this year I want to venture out and can some other things: SC peaches. Applesauce. Maybe some salsa, too. The tomato sauce will happen as usual, though--I just need to find a free weekend! Thanks for the fun giveaway! Love Ball products! What a great contest! I just picked another huge basket of tomatoes and I don't have any more room in the freezer for them (I've already frozen a huge batch). I've got to start canning tomatoes.... And I'd like to learn to can other things as well. Good luck to everyone! This is a great package! I have not canned or had a garden since helping at home while in high school. Dad always had plenty for all of us. Cleaning out his home this week and seeing all the remaining can goods made me realize I need to relearn this art! Thank you for sharing. My family's favorite is salsa, but my favorite is bread-and-butter pickles. Jellies and jams are also a favorite. Not even the high-end jams in the store are as good as homemade jams. Oh My! I would love to win this! I don't can (yet). I just do freezer preserving. But I'm always running out of space in there, so canning is the next step. Thanks to my greenhouse, I have lots of tomatoes this year that I'd love to can. Also, isn't Hugh Acheson the greatest? Do you watch Top Chef? I love him. I'm not a very good canner, mostly because I eat up everything the garden gives me pretty much right away. 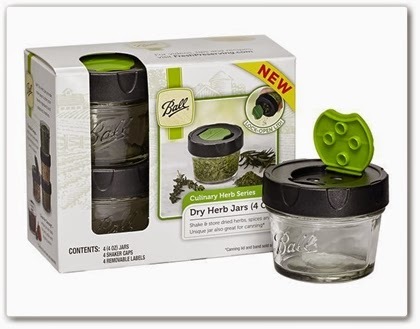 But I do love making refrigerator pickles with lots of garlic and dill and these green jars would be perfect for that! I love to can strawberry jam from our little front yard strawberry patch! I have never done any canning but would love to learn how to preserve my green beans which I have scads of this year. Awesome giveaway! I like to put up pears. Our property come with a few trees and I like to can preserves. Still need to learn how to can tomatoes. We love canning beets, and peppers! I've never canned before, I always end up giving away the veggies I grow. 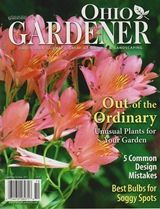 I would like to learn how to do it, especially canning tomatoes! My favorite item from the garden to can is tomatoes. Oh so many things to make with tomatoes. Your brave to go so close to the wasp nest. 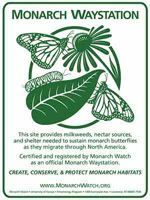 My son was stung by one in Home Depot once and he wont step inside HD anymore. I haven't started canning yet but have an abundance of tomatoes so I'd love to get into it. I do save all my herbs and dry them then bottle them for use in the winter though. I'm so glad I decided to catch up on my blog reading this morning. I've seen most of these items in my local stores and wanted to pick up some green jars. And I noticed tome of the new jar toppers but not the ones you have listed. I have never canned before but my father recently moved in with us and he's wanted to do some canning like he did on the farm. This package would be great for both of us. It would have to be pickles.. Love them! 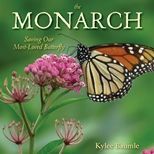 What a fantastic giveaway Kylee! This year I'm doing all sorts of naturally-fermented pickles from stuff in the garden. I use Ball jars but no water bath or pressure cooker needed. My favorites so far have been dill cucumber pickles and dilly beans - yum, and full of good probiotics. Oh, let me count the reasons I'd love to win: 1. Those scissors look fantastic! 2. 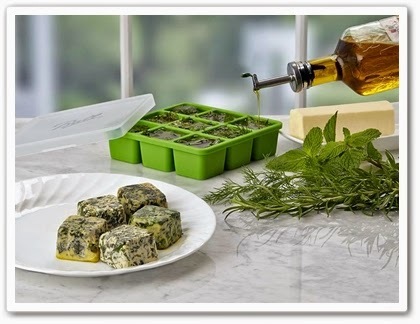 I won't have to stain my ice cube trays with herbs anymore. 3 I LOVE the vintage green color of the jars. (I have some old blue Ball jars too.) 4. The herb jars. Love. 5. 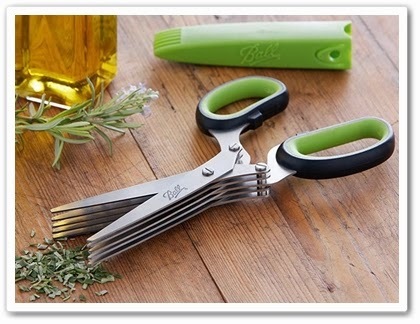 Love the herb keeper - I always snip more than we need. 6. No matter how many Ball jars I have bought there never seem to be enough. I use them for so, so many things. They are the true workhorses of our kitchen. I love to can salsa using my tomatoes, onions, green peppers, and jalapeños. Yum! I love this time of year. I can salsa, applesauce, peaches, jam and I'm adding to my canning list with the pressure canner courtesy of my MIL. I haven't gotten into canning yet, but I have a daughter who has. I would give the entire package to her! She would love it all. Canning tomatoes for winter soups! Oh my goodness, hands down it's pickles...I love pickles, any kind as long as they started out as cucumbers. I would love to get started canning. Used to do it with Mom when I was a kid. Time to restart! I love the canning jars! Nothing better than growing your own tomatoes and canning them to enjoy all year. Love to make scuppernong jelly too. My grandmother taught me how to can jelly. Not new to canning, just to blogging so nothing like seeing this at the last minute! I LOVE opening my own canned tomatoes to make a big batch of chili on a cold winter night! And last year I canned peaches from our own little trees! They were the best we've ever eaten - no brag, just fact! 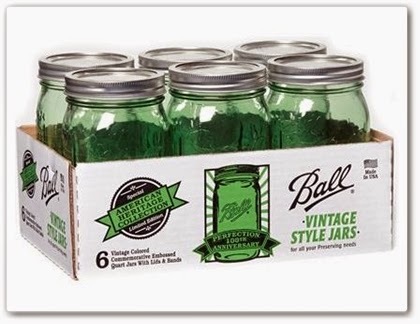 :) Have a few antique blue Ball jars - love the green! CONGRATULATIONS to Brittney Smith, the lucky winner of all that cool Ball stuff! Thanks for entering and I hope the rest of you have a wonderful canning season!